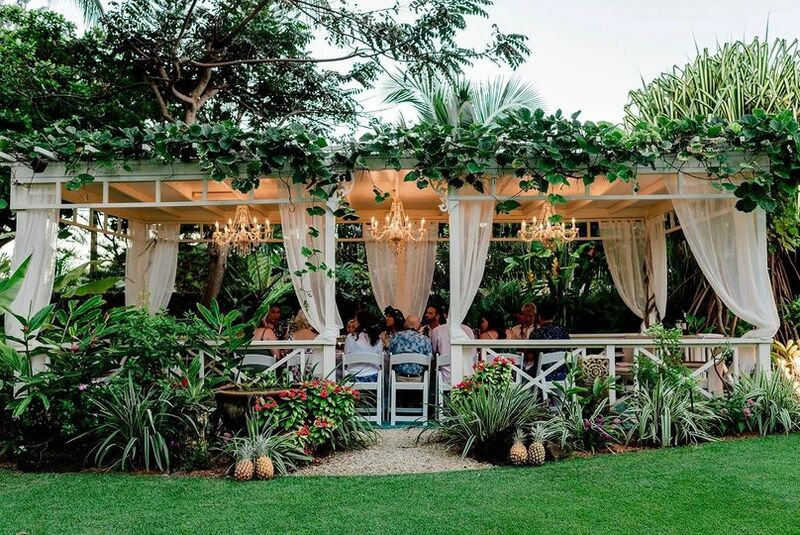 Male'ana Gardens is a boutique wedding destination offering an atmosphere of rare beauty and tranquility for intimate celebrations up to 20 guests. 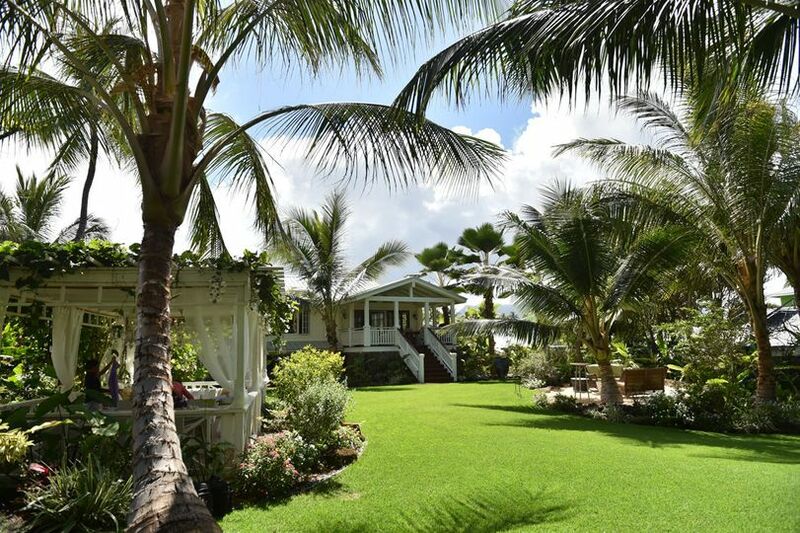 The property blends old-style Hawaiian elegance with the magic and grace of an enchanting European garden. 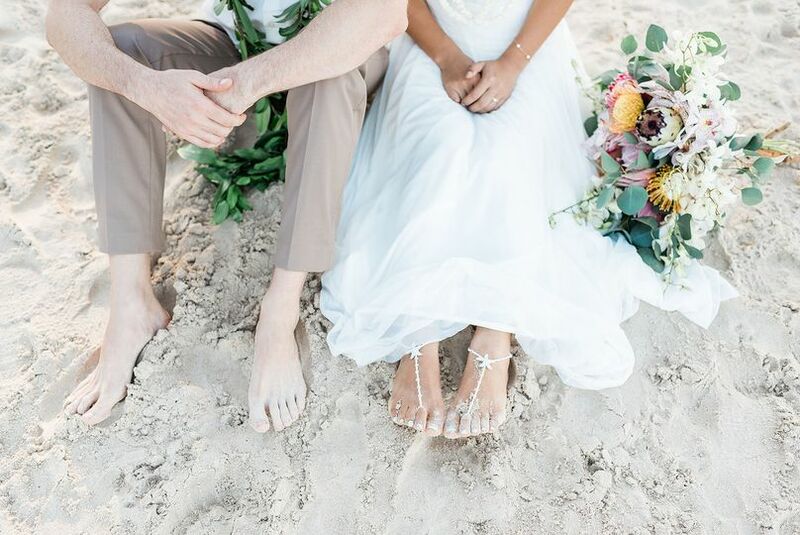 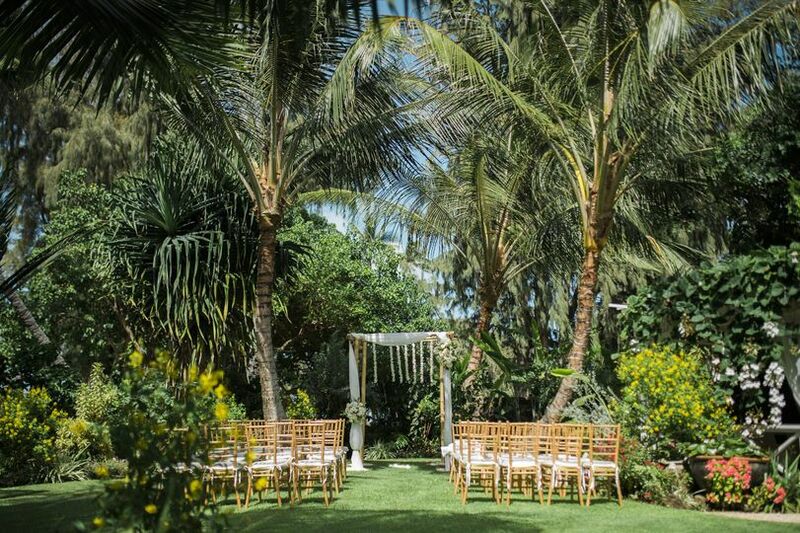 It is a secluded, lush and peaceful venue located just steps from Kailua Beach. 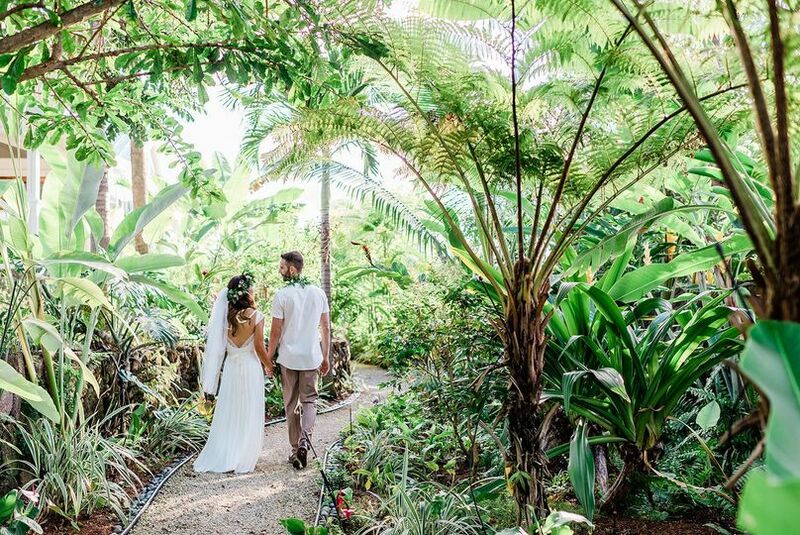 Over 3,000 trees and plants have been lovingly planted and thrive here. 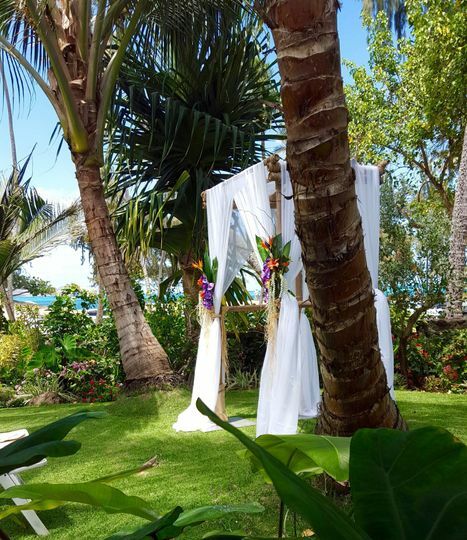 Our open-aired Cabana with crystal chandeliers overlooks the turquoise water of Kailua Bay and is nestled in the gardens, shaded by Coconut Palms, fragrant Plumeria and delicate Shower trees. 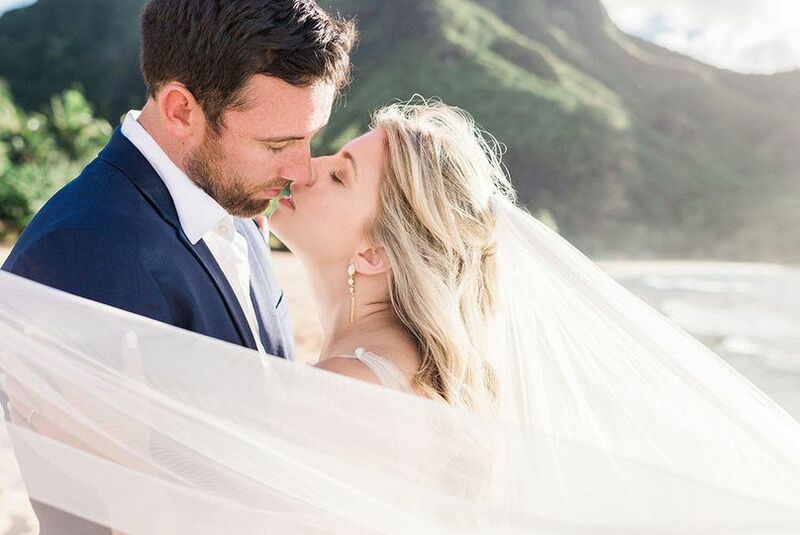 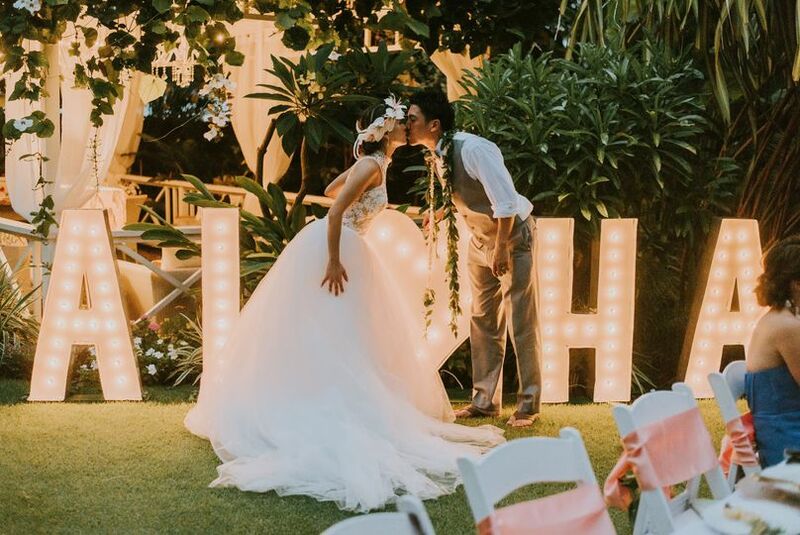 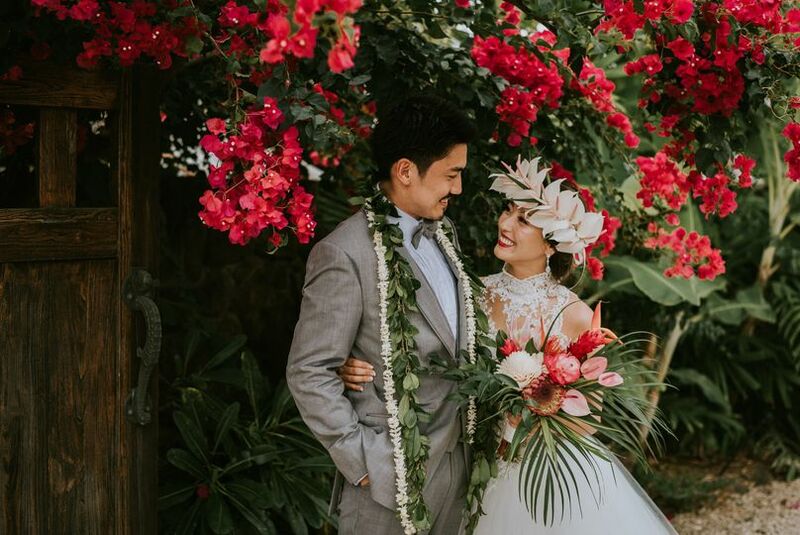 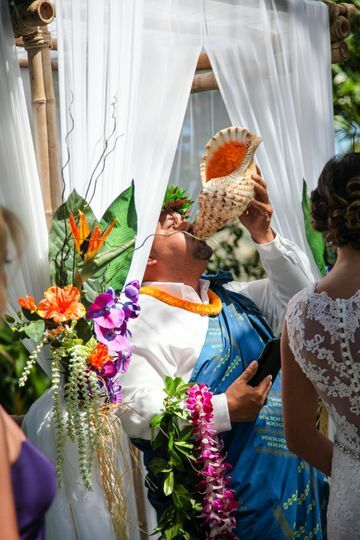 As one of our recent grooms described our venue... "A fantasy with a Hawaiian twist..."
Absolutely fantastic intimate wedding venue in Kailua with amazing owners. 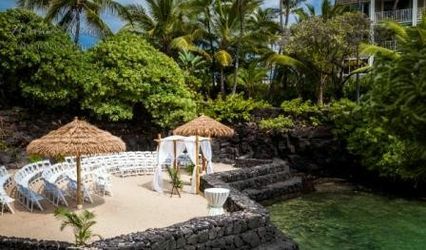 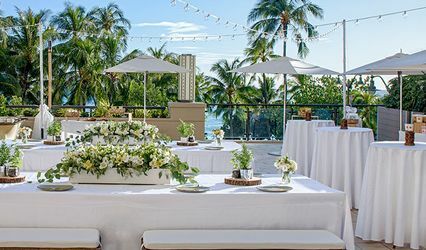 It&apos;s a perfect location for a wedding by the beach but in a secluded setting with Hawaii tropical greenery and facilities. 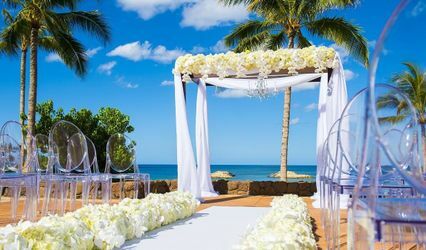 This is a gem on Oahu and a stunning place for your wedding day!